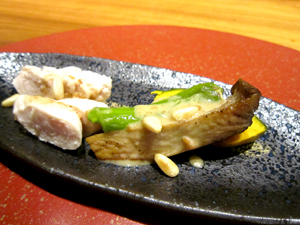 Tori-yasu: delicious and unique! 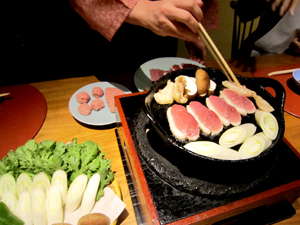 Enjoy duck sukiyaki at this charming restaurant. Good evening Thayne-san. 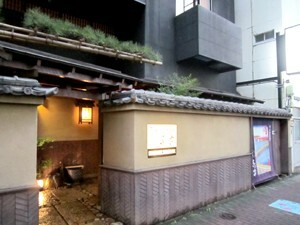 Today we’ve come to Tori-yasu in Higashi Nihonbashi. This shop was established in 1872 and has continued to serve duck cuisine ever since. 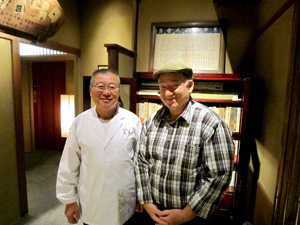 It’s a gourmet establishment that was well loved by writers and artists such as Riichi Yokomitsu and Junichiro Tanizaki. Even the facade is full of character, isn’t it! It seems like a different world in the middle of this bustling business district. Concierge-san, Thayne-san, welcome. Thank you for coming. I’m Shuji Watanabe. Good evening Watanabe-san. I’m Thayne. This entrance has a wonderful atmosphere, doesn’t it? Is this an old building? No, this is actually a new building that was finished in 2005. We actually have an elevator inside!Please come in! I’ll show you to your table. I see! 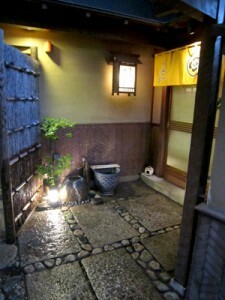 It seems like you’ve used both Japanese and Western influences to create a really beautiful and comfortable space. We really asked the architect for some difficult things, like retaining the atmosphere of the two-story building that was originally constructed here after the war. For example, the ranma wood carvings from the old building have been reused. Thayne-san, look at the wall! 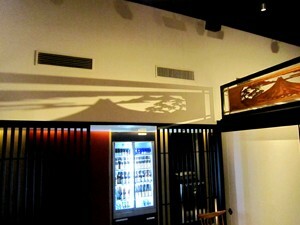 The lighting projects the shadow of the ranma carving onto the wall. Amazing! Wow, that’s really nice! This makes me even more excited about the meal! Please relax and enjoy yourselves. I’ll be back later. The only thing that is served here is the duck course. Let’s start with seasonal appetizers. Waitress Let’s turn on the burner. The duck sukiyaki will begin shortly. I’ll start by by grilling the skin and removing the fat. 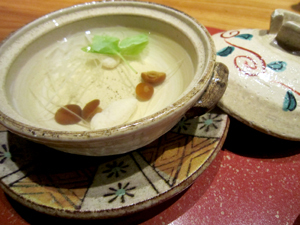 This sukiyaki pot is different from the ones I know. One part of it is indented. That dent will be useful later on. You’ll soon see. Ah, at last, here’s the duck! The meat is such a beautiful color. It looks delicious. Waitress I’ll start by cooking the breast meat. Next will be the thigh meat. After that, the gizzard, meatballs, liver, heart, thigh again, and then the skin. Even though this is called sukiyaki, there’s no added seasoning. Please enjoy it with the simple flavors of grated daikon and soy sauce. How was the duck sukiyaki? I’m completely satisfied! 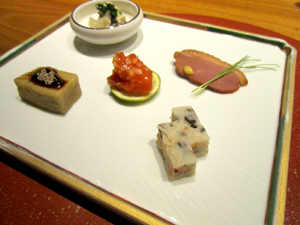 I was raised in the American countryside, so I sometimes ate duck meat, but I didn’t think it was very tasty. But this restaurant is completely different. It’s delicious! I was also surprised by how tender it was. Thank you. A big reason for the difference in taste is the variance in the meat, but how the meat is handled is also important. From the moment we receive the meat, we start preparing it, carefully plucking the feathers, draining the blood and removing the tendons. That’s our job. After that the meat is grilled, but that’s still not enough to say it’s ‘cooking’. This kind of careful preparation is an artform handed down for generations. That’s right. This restaurant is reservation-only, so we don’t have to hurry customers out so more customers can come. 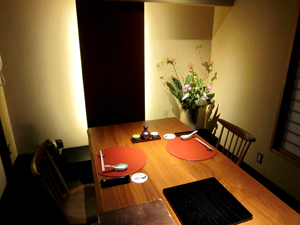 We assemble the ingredients, prepare the food, arrange the room and wait for the customers to arrive. Because it’s so simple, there are no special tricks required. We just do this simple thing every single day. Do you have many customers from overseas? Yes, and more and more in recent years. There are a lot of French customers who are used to eating duck, so they really like coming here. Collecting the fat from the duck skin in the indent in the pot and then using it to fry the vegetables is a really good idea, isn’t it? This type of pot was thought up by our founder many years ago. 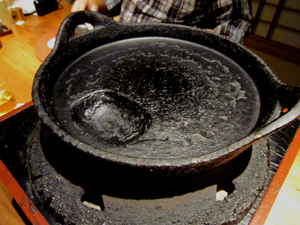 It’s made of a traditional steel called nanbu. If you take care of it properly, it will last a lifetime. By briefly frying an edible chrysanthemum in the indent, the vegetable aroma will rise up. 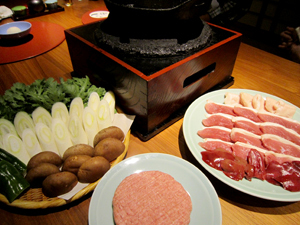 The indent and the thickness of the pot are perfect for cooking sukiyaki, so it’s really well-designed. That idea and flavor has been conveyed down through the generations from proprietor to proprietor, hasn’t it? That’s right. In order to truly provide hospitality to our customers, we don’t cut corners. It’s my role to pass this tradition to the next generation. I handed the business over to my son when I turned 60, and now he’s doing a fine job. Wonderful!I’m looking forward to my next chance to eat here and enjoy this wonderful atmosphere. Thank you very much for everything!